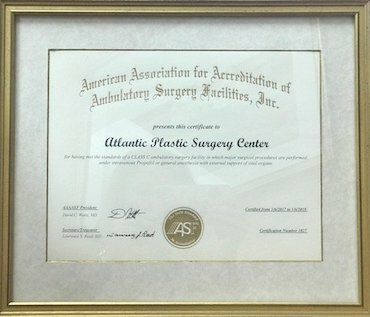 Our private plastic surgery facility in Portsmouth, New Hampshire, close to Boston and Maine, is certified at the highest level by the American Association for Accreditation of Ambulatory Surgical Facilities. AAAASF is the known to be the Gold Standard in outpatient accreditation. We meet or exceed the strictest standards of safety and equipment met by hospitals and are fully licensed by the State of New Hampshire. 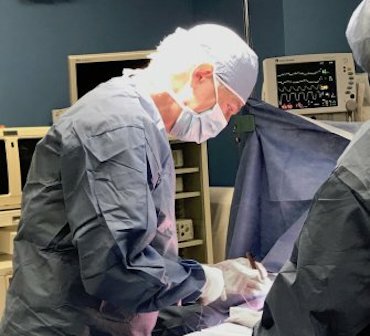 Due to Dr. Gray’s commitment to safety and excellence at Atlantic Plastic Surgery Center, he is a frequently requested AAAASF investigator for surgical facilities across New England. Dr. Lawrence N. Gray has earned a great deal of respect in both his local medical community and the national plastic surgical community through his many publications, technical skill and personal demeanor. He is the founder and medical director of Atlantic Plastic Surgery Center. We use only board certified Anesthesiologists and Certified Registered Nurse Anesthetists and are able to offer both IV sedation and general anesthesia. We utilize advanced instruments and monitoring devices during surgery and recovery. Our nursing staff have impressive professional qualifications and years of experience. All nursing staff belong to the American Society of Plastic and Reconstructive Nurses. The registered nurses assigned to our operating room are certified in Advanced Cardiac Care and Life Support. Our director of surgical services, Dee Russo Sorbello, RN, BSN, CPSN, has been a nurse for 25 years and is also a certified plastic surgery nurse, a special distinction. Beth Richards, RN, CPSN, has been a nurse for 35 years and is also a certified plastic surgery nurse. Margo Trafton, RN and has been a nurse for 45 years, with 15 years in plastic surgery. Maureen Sullivan, RN has been a nurse for 30 years. Colleen Heller, RN has been a nurse for 30 years. Cheri Brown is a certified surgical technician. Robin Ettinger, RN has been with us for 12 years. 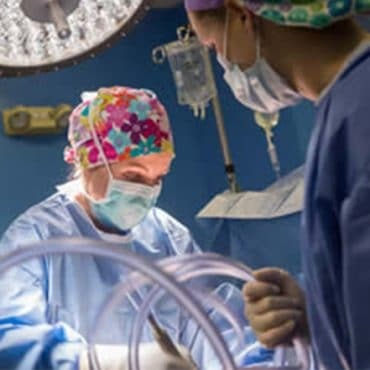 Our mission is to provide give you with the best surgical result possible in a welcoming, safe and secure setting with the finest nursing and surgical staff anywhere. We want you to be happy you chose us. We are ready to take care of you.